Arriving in Seville on a balmy October evening is like stepping onto a film set mid-shot. On the steps of the cathedral, a cute twenty-something provides the sublimely euphonious plinky plonky soundtrack with a steel, dome-shaped pan called a Hang. Extras in the form of massive swathes of tourists sit at pavement cafés, while locals assemble on benches in and among the city centre’s many green spaces. 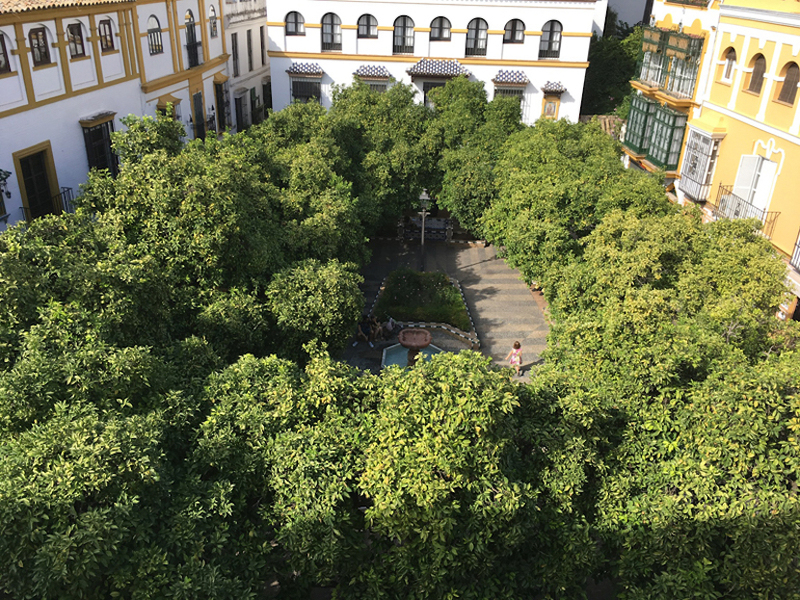 The predominant set design, the orange trees – one of Seville’s landmarks – look recently fluffed, although the receptionist where I check into my studio apartment tells me that the fruit is not to be eaten, it’s very sour. And it’s all bathed in a soft, rosy glow that I suspect no camera filter could replicate. It can’t be that a place can be this idyllic. But three days in Seville and I feel like Germans must do when they land in Cape Town: utterly captivated and looking around for a spot to set up digs. It’s tricky to know where to start when going into raptures about this place: from the staggering architecture that dots the landscape to the cobble-stoned streets and the horse-drawn carriages, to the aforementioned rows and squares of orange trees to the eatery-lined canal that turns into the 657km-long Guadalquivir River that’s topped with a series of bridges – each structurally different and each an artwork in its own right. The horse-drawn carriages are a tourist trap of note, but against the backdrop of the largest Gothic cathedral in the world, the second grandest example of a Moorish palace and a network of cobblestones to traverse, it works. 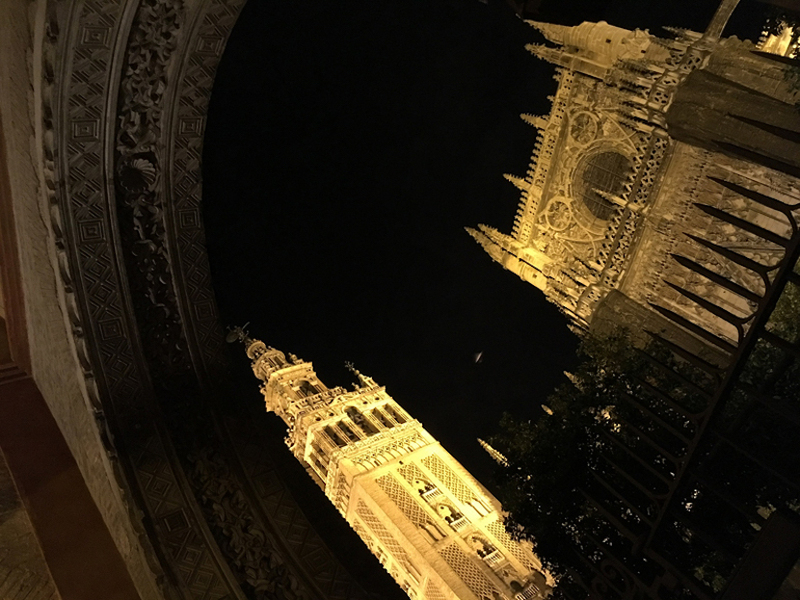 The Seville Cathedral and the adjoining original bell tower, the Giralda. This is the largest Gothic cathedral and the third-largest church in the world. And, at night, when the buildings are dramatically lit, Seville really comes into its own. The skyline from the Triana side of the riverside could give the New York skyline a run for its money any day of the week. It’s when the joggers, walkers and cyclists come out in droves and pound the promenade along the canal, while pavement café diners get a bird’s eye view of them from the other side. When you stroll around Seville and are confronted by yet another gorgeous plaza (square), including the granddaddy of magnificent squares, the Plaza de España, the spectacular building overload is complete. Then there’s the food. For tapas, there’s bacalao (dried, salted cod), lots and lots and lots of jamón (ham is something of a religion in Spain), patatas bravas (a genius combination of potato wedges with a spicy tomato sauce drizzled on top and a blob of aioli), and perfectly sized montaditos (little sandwiches). The beer is poured into cañas, or glasses. Ideally one consumes all of this standing Italian espresso bar-style at the counter of a 100-year-old bodega*, where the staff jots down your ever-escalating order in a list in chalk on the counter in front of you while trading barbs with the locals. 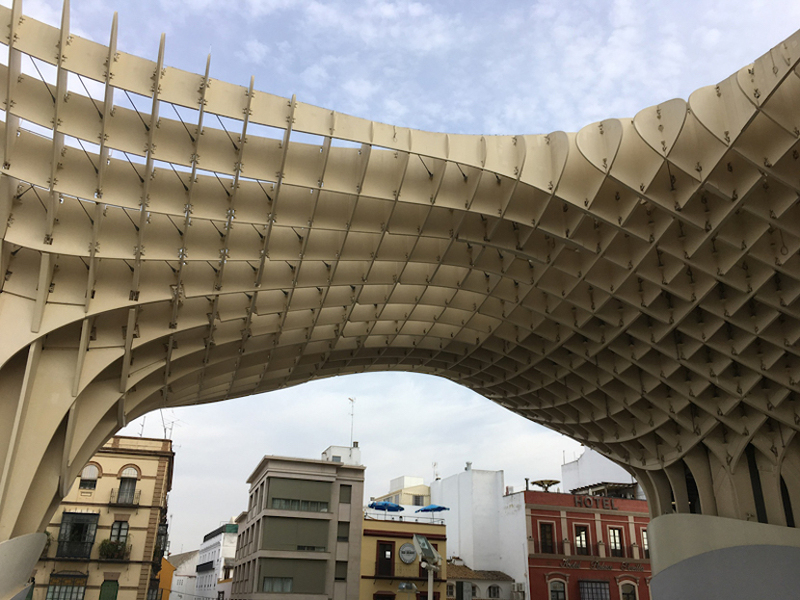 The Metropol Parasol is a wooden structure in the centre of town with rooftop walkways and 360-degree views of the city. It was completed in 2011. At an achingly stylish hipster counterpart** under the apartment where I was staying, while chatting to a local student who worked at the bar’s sister restaurant, we were doused with beer from the tap. While the bartender looked slightly nervously at me, she piped up to say that in Spain it’s considered good luck to be sprayed with beer. Fortunately, the patatas bravas remained alcohol-free. As Spanish cities go, Barcelona gets a lot of action from tourists. 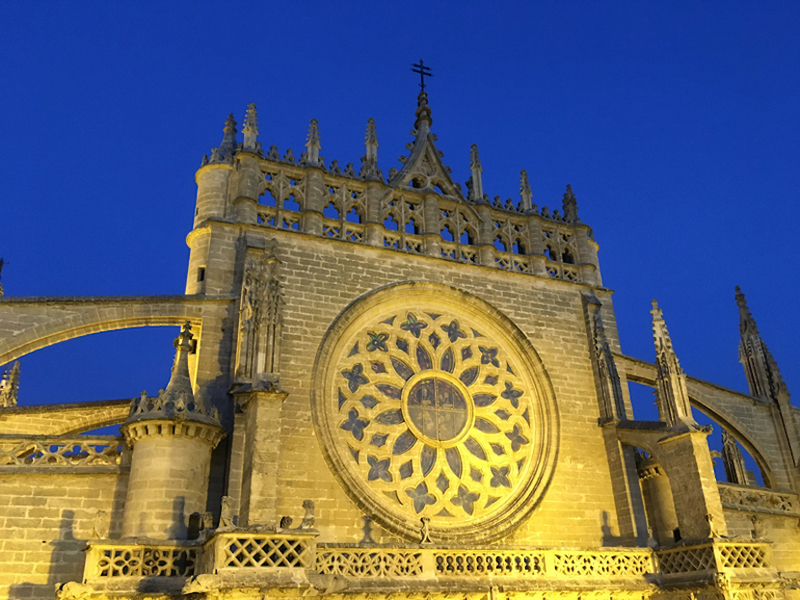 And while Barcelona is a great city, no doubt, Seville manages to be an effortless blend of party town and home to pretty much everything that is quintessentially Spanish: flamenco, tapas, bullfighting. It’s also in the heartland of the local olive oil industry (according to a public olive oil agency of the Spanish Agricultural Ministry, there are 282 million olive trees in Spain of which 62% are in Andalucía). In Barrio Santa Cruz, the historic Jewish quarter and oldest neighbourhood in the city – a labyrinthine maze of narrow streets – lies the orange tree-lined square, Plaza Doña Elvira, close by to where the Spanish writer Cervantes hung his hat in the late 1500s. In the neighbourhood of Triana, the apartment blocks clad in colourful tiles compete with churches and Moorish towers for your attention. 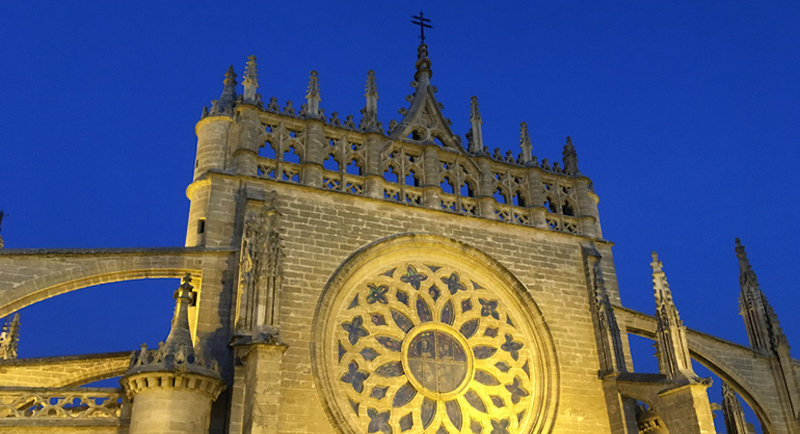 The most famous, the Real Parroquia de Señora Santa Ana, is called the Cathedral of Triana by the neighbourhood residents and is really the oldest church in the city (dating back to 1280). The beauty of not many people who are not from the city knowing this, is that while a line snakes its way around Seville Cathedral every minute of the day, access here is quick, inexpensive and uncrowded. Santa Cruz is the oldest neighbourhood, or barrio, in the city. It’s a sprawling, 4km area of minute alleyways. In one of them, about 400 years ago, prostitutes would ply their trade. At the same time, a resident in the neighbourhood, a Spanish baroque painter named Murillo, would hire these lasses for double duty: they’d also be his face models for the various virgin Madonnas he painted, including the one in the Seville Cathedral a stone’s throw away. 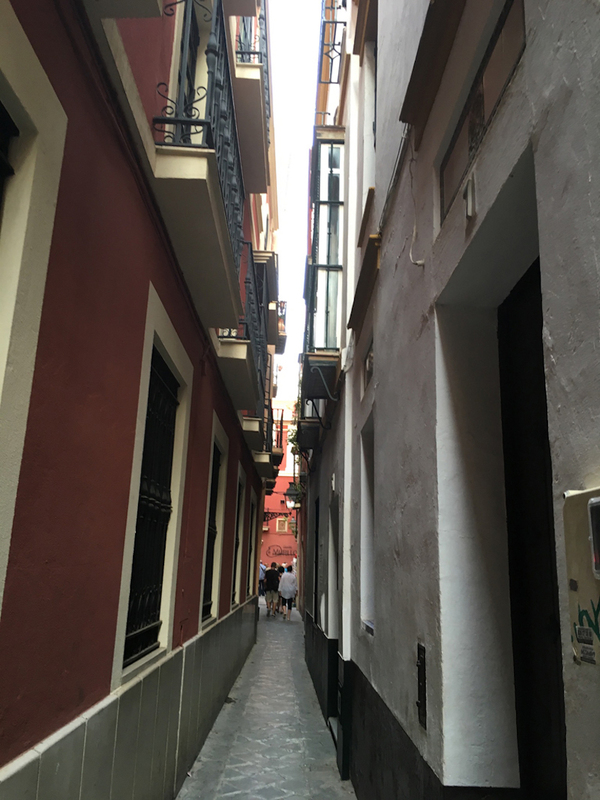 Not your average alley: This is the ‘strip’ in the oldest part of Seville where prostitutes would ply their trade 400 years ago. One customer was the Spanish painter Murillo. They say you haven’t experienced Seville until you’ve gotten lost in Santa Cruz. A wrong turn – or a very right turn, depending on your literary bent – might lead you to the square where Cervantes lived. Or the street where a scene from the opera Carmen was set. There’s a story that the idea for his most famous work, Don Quixote, came to Cervantes while he was imprisoned in Seville’s Royal Jail for ‘fiscal irregularities’ while working as a tax collector in the region. Which goes to show that Seville is a place so enchanting, even a jail cell there elicits brilliance. Dominique Herman is a Cape Town-based freelance writer and future Sevillian.